Friday's adgenda didn't include a trip to the wetlands, but somehow we ended there anyway. Many of the winter time visitors are now noticeably absent, especially the ducks. Blue-winged Teals were the only species I noticed. 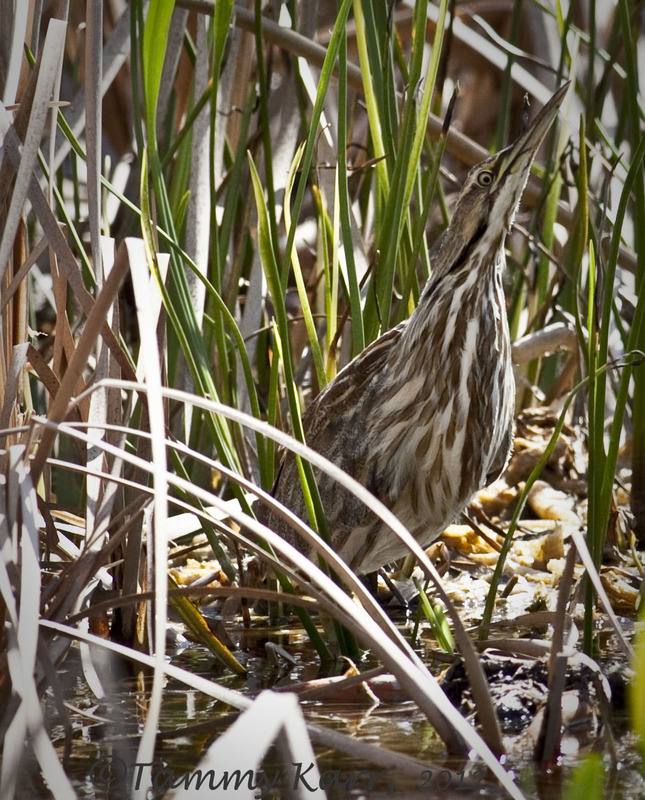 I did encounter this American Bittern who spotted me at precisely the same time I spotted him. The Bittern immediately struck a pose in an attempt to camouflage itself in the reeds. I took one quick photo from the car and moved right along. The next stop was near the herons. I once again arrived as a heron parent was arriving to deliver a meal. 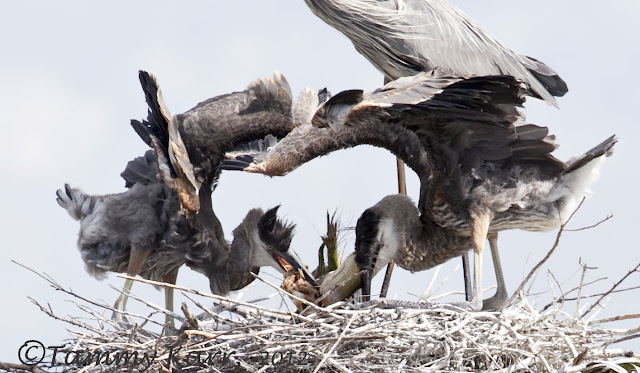 The juvenile Great Blue Herons went into a frenzy as they waited to be fed. They repeatedly grabbed and stabbed at their parent and once the food arrived the frenzy became between the two young birds. They ended up in a tug a war match with the fish with one chick being victorious as it swallowed the whole thing. The sibling seemed less than pleased and poked around the nest for any crumbs. 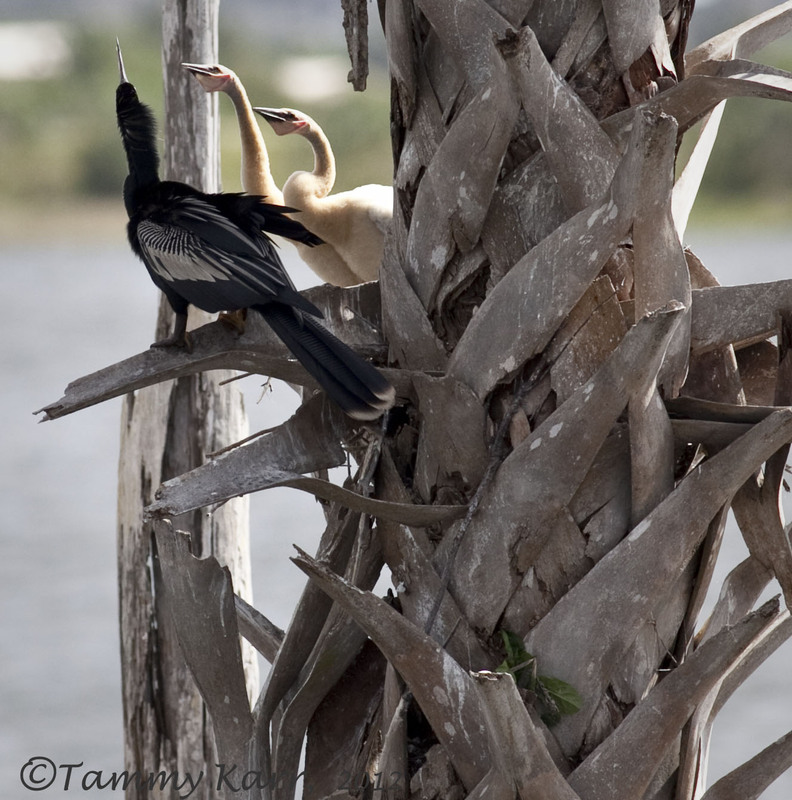 An Anhinga family that nests on the lower part of the same palm as the herons was visible today. These chicks seemed to be making similar demands, although much less aggressively. Preciosas fotos de las garzas (como siempre) y espectacular el camuflaje de la primera. I esp. love seeing your pictures of the Great Blue Heron babies. There's a rookery near my house, but it isn't accessible, so I just have to imagine. Now I can easily picture in my mind! Thanks. Thank you for your comments! 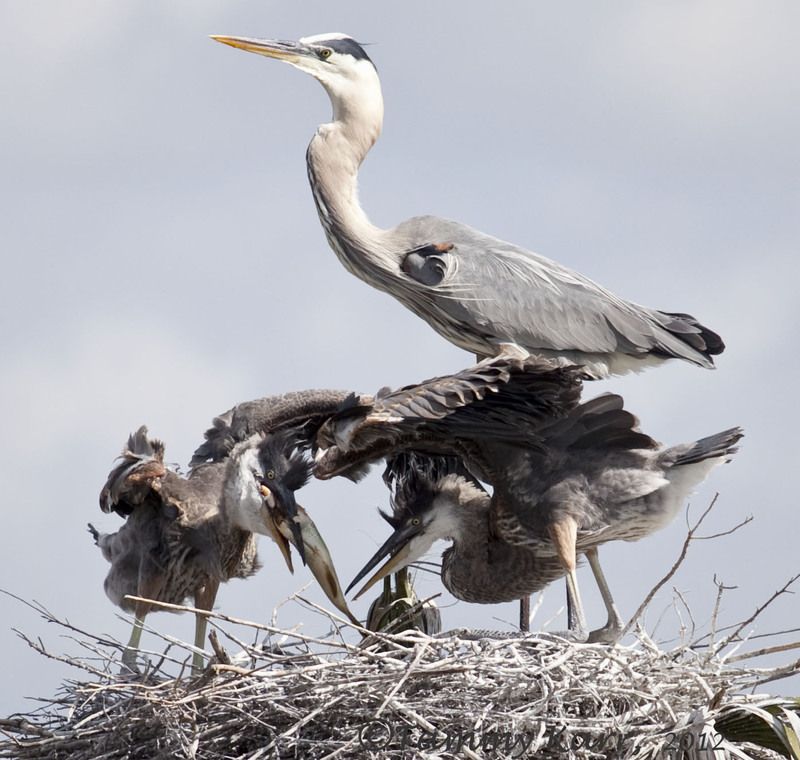 We are lucky to have the herons nesting at the wetlands!! The Bittern are very special bird, we call it "Rördrom" in Swedish not easy for you to pronouse I think. And The Heron (Häger) is always cool to look at. Thanks so much Kenny! I definitely could not pronounce the Swedish words, but it is very interesting to see the different words used for these bird! Thanks for sharing. This is another great series of shots! Can I ask, what lens were you using? Thank you Ron! I was using a 400 mm 5.6 (Canon). The herons are doing great! Growing like weeds! Love that Bittern shot...if I don't look at her, she won't see me. LOL! You caught a Bittern, it's beautiful, well done, is it rare like ours is? The bittern here is not rare, but it can be very elusive. That Bittern shot is perfect, what a pose as well. Lovely photos of all this lovley birds. 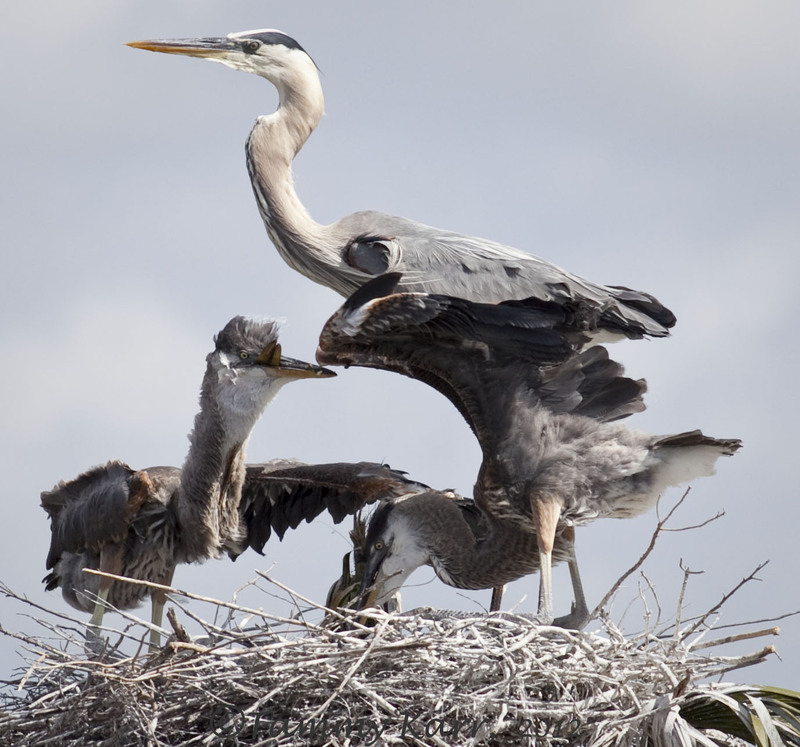 There you are back with some action from the Heron's nest. Number 2 is my favourite, but all of them are "cought in the action". Good work again as usual! Those hereon chicks just keep getting bigger! I need to get back out there. Nice photo of the American Bittern too. Super feeding action series at the high rise nest Tammy ... AND the Bittern perfectly posed just for you. 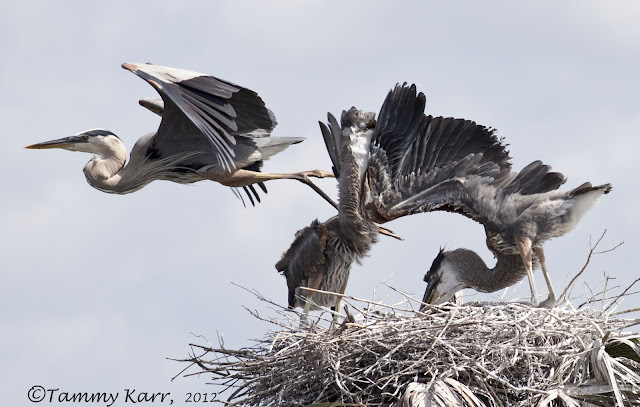 I'm truly enjoying watching these young herons grow up through your images Tammy! Great series of beautiful photos, love all of them. It's so great to see how the herons are doing. More magnificent heron images Tammy and the Bittern is a cracker. Not hard to see why the wetlands draw you so. 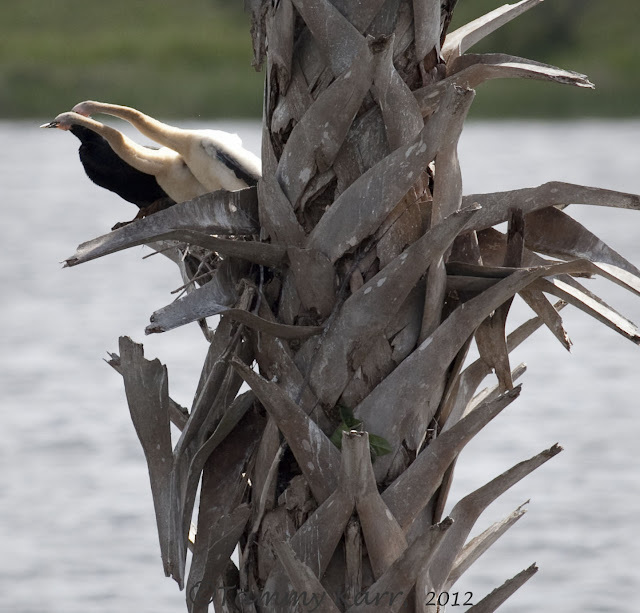 Isn't it amazing how the birds blend right in with their surroundings for protection. 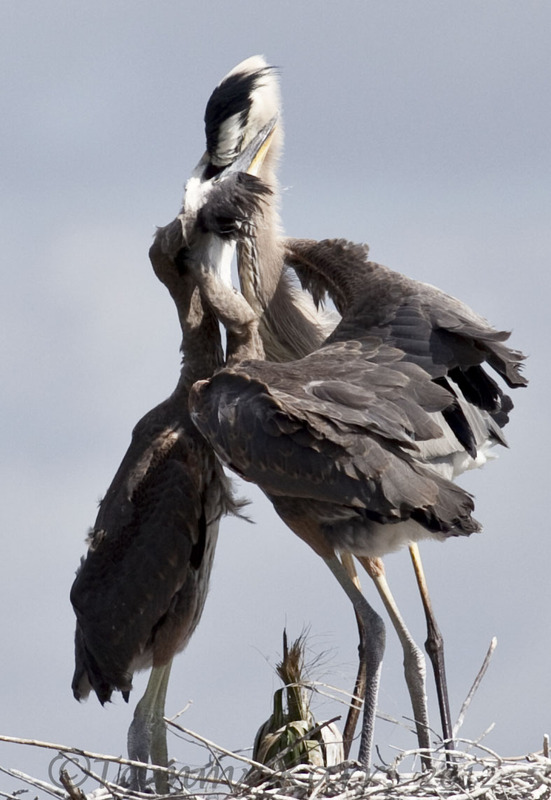 Amazing photos of the herons and the anhingas! It's so cool to see the young so clearly, I am so glad you are sharing these! 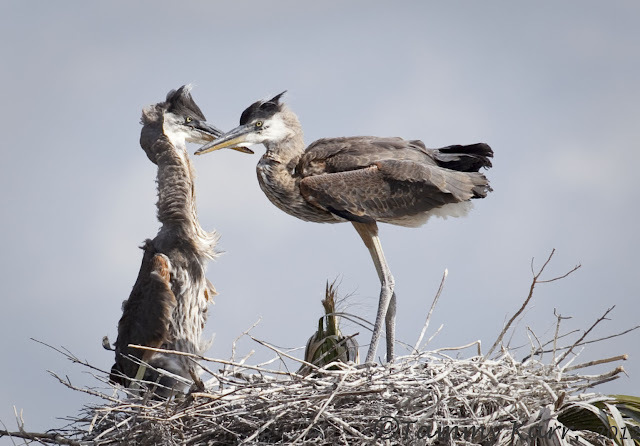 Amazing photography and documentation of the parents feeding their young! Well done Tammy! 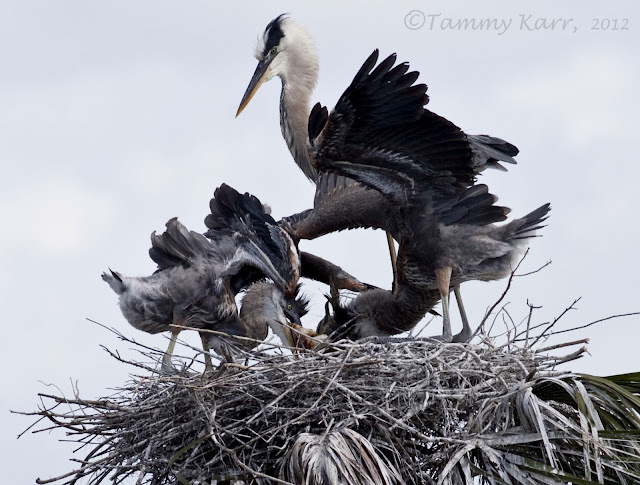 very sharp and wonderful shots Tammy...love the herons, I hope ours start to nest soon, we had some eagles wipe out one nest area. You could do a great book with these shots Tammy or sell them. Thanks for sharing these shots with us and also for giving the time to us bloggers to comment when you are so busy. A wonderful sets of photos on the parenting of the chicks! But the Bittern picture is most amazing, the bird is so difficult to spot let alone photograph! Impressive! Hola Tammy, regreso después de unos días de descanso y estoy hachando un vistazo a tus últimas entradas, muy buenas todas y bien captados todos esos momentos tan interesantes, también advierto que tu objetivo tiene un buen estabilizador que te permite hacer fotos desde el coche como en esta primera foto, o que tienes un pulso excelente. Muy buenas tomas. Muy buena entrada de las garzas, saludos.